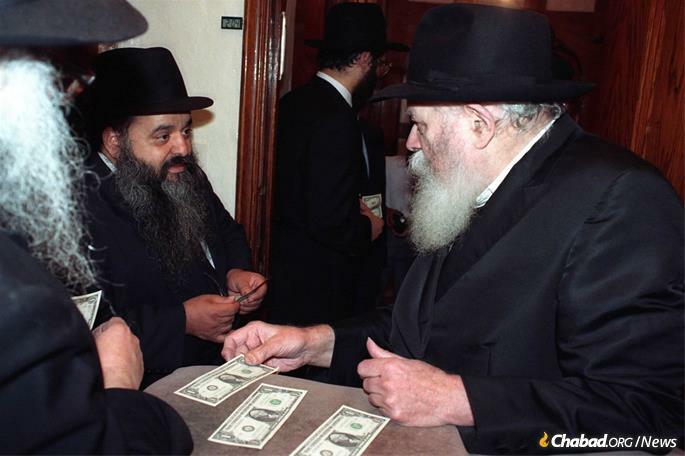 Rabbi Levi Hezkia, 74, a beloved mohel, cantor, shochet and teacher, touched the lives of thousands of Jews in Italy. As the funeral procession wended its way through Milan from one Jewish institution to another, the crowd got bigger and bigger, swelling to 600 strong. It was a fitting send-off for Rabbi Levi Hezkia, 74, a Chabad-Lubavitch rabbi who had touched the lives of thousands of Jews in Italy. He immigrated to Israel from Afghanistan with his family as a child and was opened to the world of Chabad by a counselor at the Diskin Orphan Home in Jerusalem, where the refugee boy lived and studied. 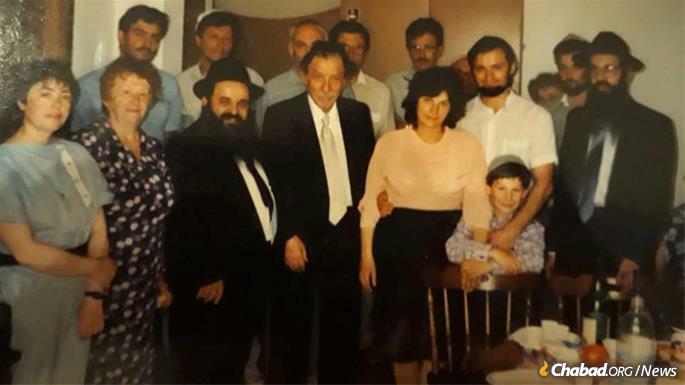 As a young rabbinical student in the Chabad yeshivah in New York several years later, Hezkia, who passed away on Oct. 21 after a lengthy illness, gained the attention of the Lubavitcher Rebbe—Rabbi Menachem M. Schneerson of righteous memory. 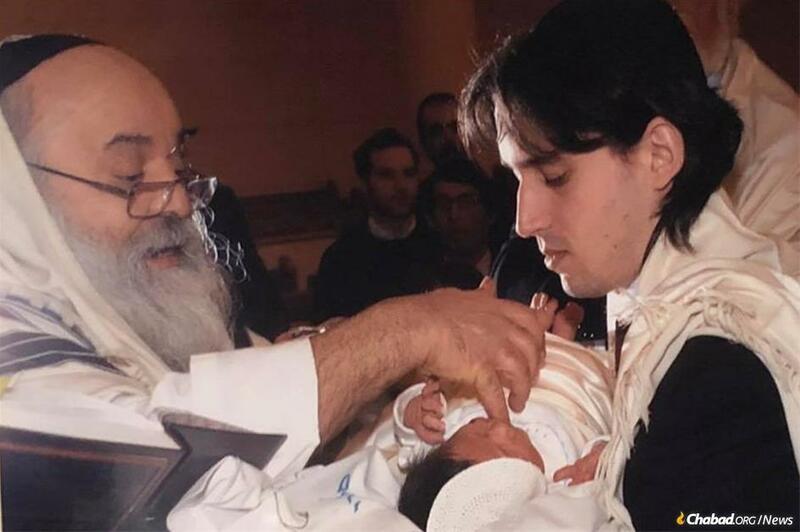 Seeing the young man’s potential, the Rebbe arranged that Rabbi Yeshua Hadad, a Chabad emissary in Milan, take him under his wing. Over the next few years, Hezkia became an expert shochet (kosher slaughterer), mohel (circumciser) and sofer (scribe). 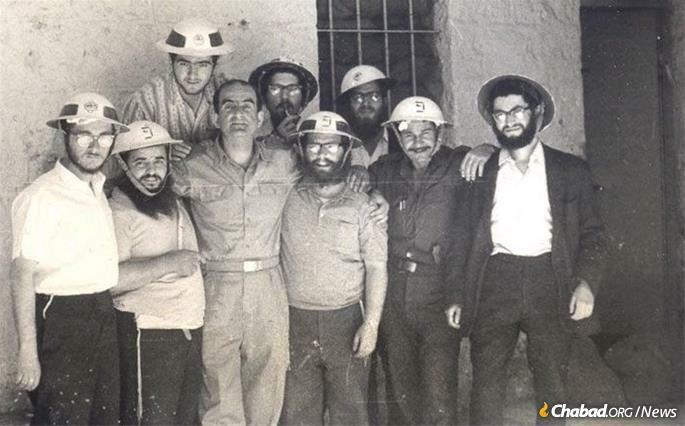 After joining the team of Chabad emissaries in Milan in 1969, he remained there for the rest of his life, serving with distinction and devotion for five decades. As a mohel, he would travel up and down the Italian peninsula to perform circumcisions on Jewish babies from Venice to Palermo. When a circumciser was needed elsewhere in Europe, he would gladly drop whatever he was doing to perform the sacred duty. As chazzan (prayer leader) of the Noam synagogue, he was deeply beloved by the congregation, made up of Persian immigrants and their children, who shared a common language and culture with the Afghanistan-born rabbi. At the circumcision of a refugee from the former Soviet Union. From the late 1970s until 1990, 150,000 Jews came pouring out of the crumbling Soviet Union into Italy by way of Vienna, waiting for visas to North America. Hezkia performed hundreds of circumcisions for babies of these penniless migrants, as well as for grown men who had been denied this fundamental rite of passage as children. And as kosher supervisor (mashgiach) at the cafeteria of the Scuola Ebraica di Milano, he influenced generations of children, with whom he would lovingly and carefully recite the “Grace After Meals” each day. 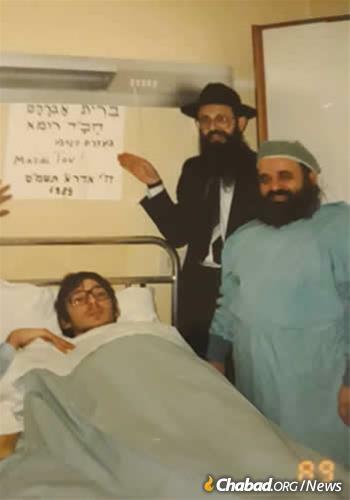 Hezkia following a circumcision in Rome, with the late philanthropist, Chaim Harry Zippel of Milan, who sponsored many of the circumcisions. The connections he made would last long after he performed a circumcision or oversaw a bar mitzvah. He would maintain decades-long relationships with “his” families, inquiring about health, children, grandchildren and more. 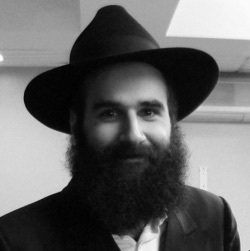 Rabbi Levi Hezkia is survived by his wife, Rachel, and their children: Rabbi Shmuel Hezkia (Milan), Miriam Gorman (London) and Chaya Graff (Milan), as well as grandchildren. He was predeceased by son Eliyahu Hezkia. Volunteering to help the war effort in Israel during the Six-Day War. 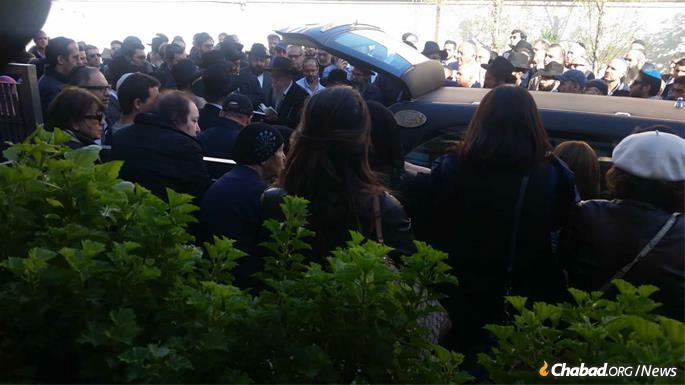 Hundreds turned out for the beloved rabbi's funeral in Milan.